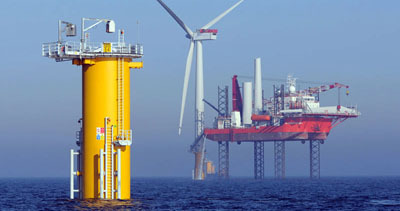 The G+ Global Offshore Wind Health and Safety Organisation (G+) hold an annual Stakeholder Forum. The purpose of this event is for G+ members to present work done and key deliverables, including the incident data work programme, G+ Safe by Design intiative and implementation of the G+ good practice guidelines. The Stakeholder Forums are attended by representatives from G+ member companies and key offshore wind industry stakeholders. The event provides a platform for important discussions regarding health and safety in the offshore wind industry. In previous years the Stakeholder Forums have included panel sessions with senior industry representatives. The G+ have held Stakeholder Forums in 2019, 2018, 2016, 2014 and 2013, presentations given on the day are available to download from this site. If you have any questions relating to the Stakeholder Forum or the G+ please contact us. On the 06th March 2019, the G+ Global Offshore Wind Health and Safety Organisation (G+) held their fifth Stakeholder Forum with key industry stakeholders in London, UK. If you have any queries relating to the Stakeholder Forum please contact us. On the 18th January 2018, the G+ Global Offshore Wind Health and Safety Organisation (G+) held their fourth Stakeholder Forum with key industry stakeholders in Hamburg, Germany. The day also marked the launch of the 2nd edition Small Service Vessels good practice guideline, which incorporates the latest industry learning in a comprehensive and internationally applicable document. If you have any queries relating to the Stakeholder Forum or the Small Service Vessels GPG please contact us. On 6th December 2016, the G+ Global Offshore Wind Health and Safety Organisation (G+) held their third Stakeholder Forum with key industry stakeholders in London, UK. Presentations given at the G+ Stakeholder Forum are available to download from this page. If you have any queries relating to the Stakeholder Forum or the G+ "quick win" papers please contact us. Since the last G+ Stakeholder Forum in 2016 the G+ has looked into and discussed at length the types of scenario which may arise during the construction of an offshore wind farm where a crew change may be required the and does not possess a valid GWO certificate. Some G+ member companies do have visitor exemption requirements for accessing a WTG, for infrequent scenarios and where it would not be practical to ask the visitor to undertake GWO training. Where this exemption is agreed controls would be put in place to manage any risks associated with having a visitor transfer to a WTG. The G+ are of the opinion that it would not be appropriate to allow a crew member a visitor exemption, as it is a reasonably foreseeable scenario to undertake a crew change using a WTG as a fixed structure to undertake a transfer operation. On this basis the expectation is that the crew who are transferring should be qualified to the relevant GWO standard and have passed the same modules which would be expected from a technician who is undertaking a transfer. On 2nd December 2014 the G+ Global Offshore Wind Health and Safety Organisation (G+) held their second Stakeholder Forum with key industry stakeholders in London, UK. Attendees heard from G+ members who presented work done and key deliverables produced within the organisation since the last Stakeholder Forum (held in 2013), including the 2013 annual incident data report and the good practice guidelines on working at height and the safe management of small service vessels. A number of Panel debates with senior industry representatives (comprising G+ and non-G+ members) on how the good practice guidelines will be implemented and used by the industry also took place. In addition, a Panel of senior industry representatives discussed key HSE challenges involving wind farm installation vessels and lifting operations. Presentations given on the day are available to download from this page. If you have any questions relating to the Stakeholder Forum or the G+ please contact us. The G+ Global Offshore Wind Health and Safety Organisation (G+), in partnership with the Energy Institute (EI) held their first Stakeholder Forum with key industry stakeholders in London on 22 October 2013. Attendees at the Stakeholder Forum heard from G+ members who presented the organisation’s main aims and objectives and the work to date to improve health and safety performance. They explained why the G+, as major offshore wind developers, is accountable for the health and safety of workers on their sites and how it fits into the European offshore wind industry. A subsequent debate with a panel of senior industry representatives (comprising G+ and non-G+ members) discussed the benefits of common guidelines, how the G+ guidelines should be implemented and key future issues facing the offshore wind industry.